Ruan Jia is a concept artist currently living in Quebec. 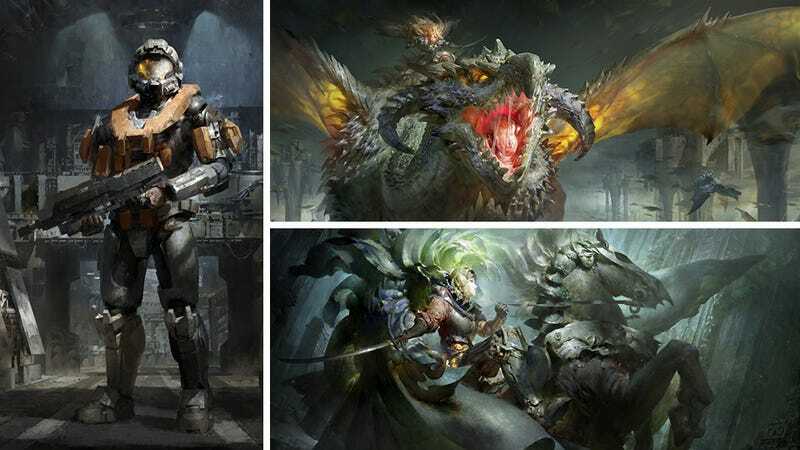 Having formerly worked for Chinese developers NetDragon, his most recent gig was with Volta, a studio that specialises in providing things like art and world building for video game companies. His art isn't just great by concept art standards. If I could print these off in a giant size, stick 'em in a giant wooden frame and hang them in my house, I would. They're like pieces from a classical art gallery, only instead of featuring stuff like picnics and men with large dogs was full of paintings about dragons. You can see more of Ruan's amazing work at his personal site.